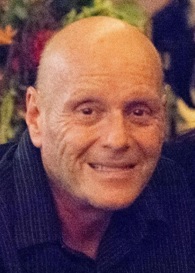 Chipper Swaniger, 59, lived his whole life in the Parkwood neighborhood and passed away March 22, 2019 after a brave battle with cancer. The son of George “Sonny” and Betty Swaniger, Chip was born on July 8, 1959, in Youngstown, and he graduated from Girard High School in 1978. He previously worked for Lewis Construction and Dollar General in the Liberty Plaza. Chip was a stranger to no one. Residents will recall seeing him walking around Liberty Park and Parkwood, often stopping to chat with friends and neighbors for a while. Chip’s passion for music was epitomized by his extensive collection of vinyl records and his knowledge of music history. When he heard a song playing, he could immediately recall the year it was released and the history of the musicians who sang it. Chip especially enjoyed his flower garden, feeding the birds, and hand-feeding the neighborhood squirrels and chipmunks. He will be sadly missed by his family, including his sisters, Carole (Carter) Lewis of Howland, Peggy Stoneburg of Niles, Karla (Joe) Graziano of Girard, and Terry Omerzo of Niles; many nieces and nephews; and his friend and caregiver, Paul Frohman. Chip was preceded in death by his parents, George and Betty Swaniger. Chip’s family would like to extend a special thank you to the staff at Hospice of the Valley, The Hope Center in Howland, and Trumbull Hospital Wound Center for their compassionate care and for the special friendships made during his treatments. Family and friends are invited to calling hours on Monday, March 25 from 5-7pm and a memorial service following at 7pm at Blackstone Funeral Home, 672 Churchill Road, Girard, OH 44420. Memorial contributions may be made to Hospice of the Valley, 6715 Tippecanoe Road, Suite B 101, Youngstown, OH 44406.